Following his five-stroke victory at the recent Arnold Palmer Invitational, odds makers quickly rushed to install him as the prohibitive favorite to win at this year’s Masters. Never mind that the man had just earned his first PGA win in over two years without even having to square off against the No. 1 ranked player in the world – Tiger’s back! Or something. As it stands now, Woods is 7/2 to win at Augusta, and Rory McIlroy (the aforementioned No. 1 ranked player in the world) is listed at 9/2 according to the latest 2012 Masters betting odds. It will be interesting to see how the talented youngster bounces back from what was an undeniably embarrassing showing in the final round last year. (Having the pressure of being the favorite lifted off his shoulders and put on Tiger’s can’t hurt.) Phil Mickelson, who will be looking for his fourth win at golf’s biggest event, is being listed at 11/1. Lee Westwood and Luke Donald, two potential sleepers in this year’s proceedings, are both listed at 14/1. Adam Scott and Jason Day, a pair of players who came close to taking down eventual winner Charl Schwartzel last year, are being listed at 30/1 and 40/1, respectively. Schwartzel will defend his title listed at 28/1. Regardless of whether or not he ultimately succeeds in his quest to repeat, the South African deserves a lot of credit for his activity over the last year. Over the last 12 months, the reigning champ has competed in 22 contests since he put on the green jacket last year. 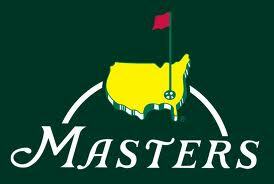 This year’s Masters will take place at Augusta National, and will run from April 5-April 8. Here is an odds breakdown of (relevant) players worth watching but not listed above: Justin Rose (33/1), Bubba Watson (40/1), Keegan Bradley (40/1), Sergio Garcia (40/1), Dustin Johnson (40/1), Graeme McDowell (50/1), Hunter Mahan (33/1), Martin Kaymer (50/1), Nick Watney (40/1), Steve Strickler (50/1), Webb Simpson (50/1).